Ideal for large Gardens and Parkland, Viking Ride-on Mowers offer an effortless way to manage any large grass area. Viking Ride-on Mowers are built to the highest of standards and can be operated comfortably for many hours at a time. Some of the best units currently in the Viking Ride-on Mowers range include the Viking MT 6127 ZL Garden / Lawn Tractor, the Viking MT 6112 K Garden / Lawn Tractor and the Viking Ride-On Mower MR 4082. The Viking MT 6127 ZL Garden / Lawn Tractor is powered by a twin engined OHV engine, allowing the MT 6127 ZL to cover an area of around 10000m². The 3 blade mowing deck allows a perfect cut over a 125cm area. The MT 6127 ZL has a 350 litre grass catcher, meaning if you are mowing a large area you will only need to stop occasionally. The grass catcher detaches easily for effortless disposal. With a single pedal drive operation and cruise control fitted as standard, the MT 6127 ZL is incredibly easy to drive. Undoubtedly this Ride-on Mower is one of the best in the Viking Ride-on Mowers range. The Viking MT 6112 K Garden / Lawn Tractor is known for it’s easy to handle, comfortable to drive nature. Powered by a 15hp Kawasaki engine, the MT 6112 K is a joy to use. This Viking Ride-on Mower also comes with a 350 litre grass catcher, LCD Display control panel and a 3 blade mowing deck for cutting grass over a 110cm width. The Viking Ride-On Mower MR 4082 is an incredibly manoeuvrable and highly comfortable to use unit in the Viking Ride-on Mowers collection. 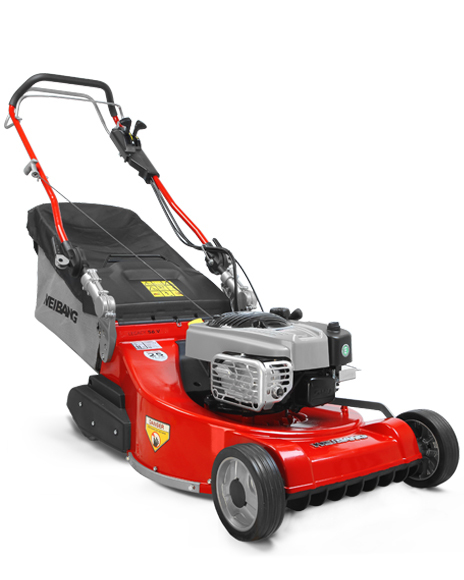 Powered by a Briggs and Stratton 13.5hp engine, the MR 4082 comes with a 250 litre grass catcher, an electromagnetic blade clutch and single pedal wheel drive. The MR 4082 is an incredible Ride-on Mower for the price! Our selection of Viking Ride-on Mowers is available for you to browse right away!